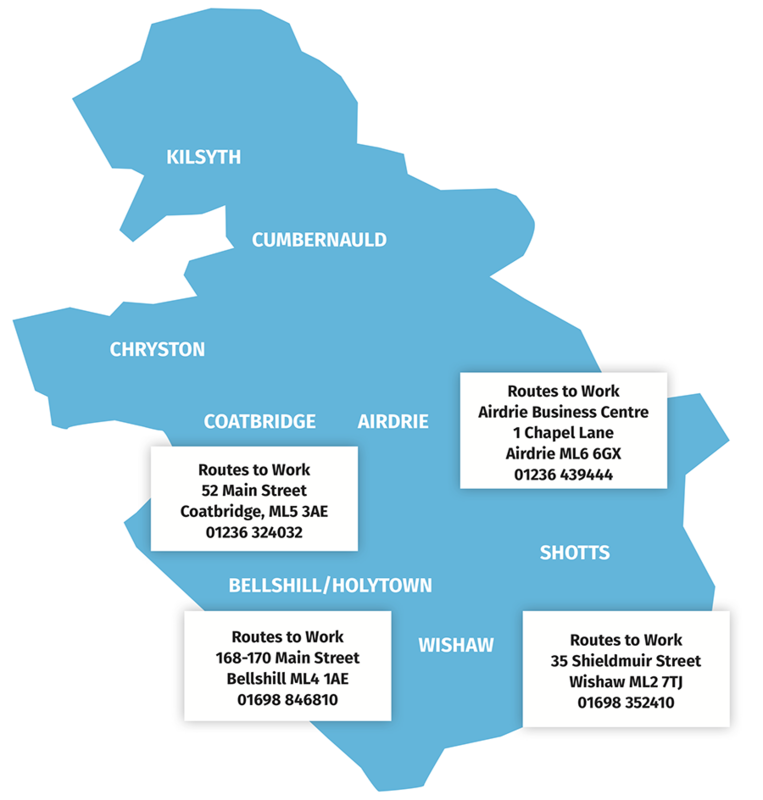 Our commitment to helping the most excluded people in communities in North Lanarkshire means that we have offices in the areas of highest unemployment across the authority. These prime locations mean our clients can visit us regularly and because we are in prominent positions in most town centres we are easily accessible to the majority of people living in the area. We also take our programmes of support out to the communities we exist to serve, operating in around 40 community-based venues each week, and work closely with our North Lanarkshire’s Working partners to ensure that this localised service is as effective as our office based provision.